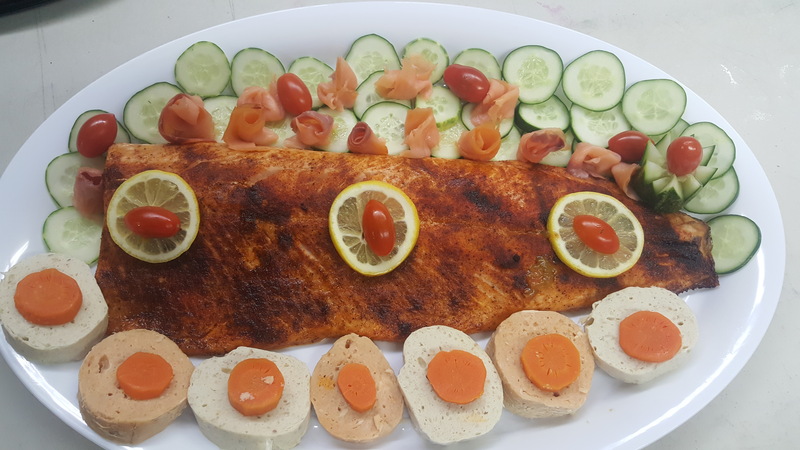 Baked Side of Salmon, Including Slices of Gefilte. Smoked Deboned White Fish, With slices of gefilte. 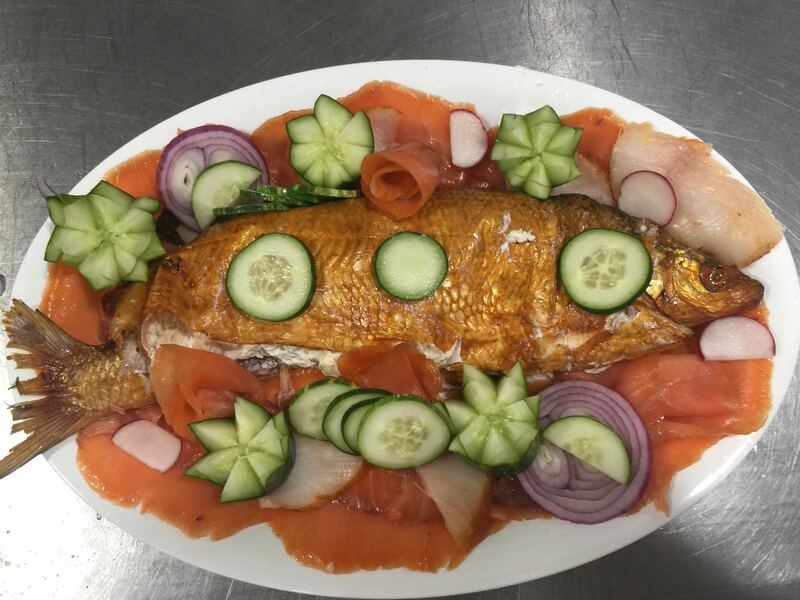 Smoked Deboned White Fish, With slices of lox.